This article is about the 4th-century Roman Emperor. For the 3rd-century Roman Emperor, see Maximinus Thrax. For other uses, see Maximin (disambiguation). Maximinus II (Latin: Gaius Valerius Galerius Maximinus Daia Augustus; c. 20 November 270 – July or August 313), also known as Maximinus Daia or Maximinus Daza, was Roman Emperor from 308 to 313. He became embroiled in the Civil wars of the Tetrarchy between rival claimants for control of the empire, in which he was defeated by Licinius. A committed pagan, he engaged in one of the last persecutions of Christians. He was born of Dacian peasant stock to the sister of the emperor Galerius near their family lands around Felix Romuliana, a rural area then in the Danubian region of Moesia, now Eastern Serbia. He rose to high distinction after joining the army. In 305, his maternal uncle Galerius became the eastern Augustus and adopted Maximinus, raising him to the rank of caesar (in effect, the junior eastern Emperor), and granting him the government of Syria and Egypt. In 308, after the elevation of Licinius to Augustus, Maximinus and Constantine were declared filii Augustorum ("sons of the Augusti"), but Maximinus probably started styling himself after Augustus during a campaign against the Sassanids in 310. On the death of Galerius in 311, Maximinus divided the Eastern Empire between Licinius and himself. When Licinius and Constantine began to make common cause, Maximinus entered into a secret alliance with the usurper Caesar Maxentius, who controlled Italy. He came to an open rupture with Licinius in 313; he summoned an army of 70,000 men but sustained a crushing defeat at the Battle of Tzirallum in the neighbourhood of Heraclea Perinthus on April 30. He fled, first to Nicomedia and afterwards to Tarsus, where he died the following August. His death was variously ascribed "to despair, to poison, and to the divine justice". Maximinus has a bad name in Christian annals for renewing their persecution after the publication of the Edict of Toleration by Galerius, acting in response to the demands of various urban authorities asking to expel Christians. In one rescript replying to a petition made by the inhabitants of Tyre, transcribed by Eusebius of Caesarea, Maximinus expounds an unusual pagan orthodoxy, explaining that it is through "the kindly care of the gods" that one could hope for good crops, health, and the peaceful sea, and that not being the case, one should blame "the destructive error of the empty vanity of those impious men [that] weighed down the whole world with shame". In one extant inscription (CIL III.12132, from Arycanda) from the cities of Lycia and Pamphylia asking for the interdiction of the Christians, Maximinus replied, in another inscription, by expressing his hope that "may those [...] who, after being freed from [...] those by-ways [...] rejoice [as] snatched from a grave illness". 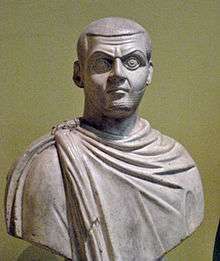 After the victory of Constantine over Maxentius, however, Maximinus wrote to the Praetorian Prefect Sabinus that it was better to "recall our provincials to the worship of the gods rather by exhortations and flatteries". Eventually, on the eve of his clash with Licinius, he accepted Galerius' edict; after being defeated by Licinius, shortly before his death at Tarsus, he issued an edict of tolerance on his own, granting Christians the rights of assembling, of building churches, and the restoration of their confiscated properties. And he went to such an excess of folly and drunkenness that his mind was deranged and crazed in his carousals; and he gave commands when intoxicated of which he repented afterward when sober. He suffered no one to surpass him in debauchery and profligacy, but made himself an instructor in wickedness to those about him, both rulers and subjects. He urged on the army to live wantonly in every kind of revelry and intemperance, and encouraged the governors and generals to abuse their subjects with rapacity and covetousness, almost as if they were rulers with him. Why need we relate the licentious, shameless deeds of the man, or enumerate the multitude with whom he committed adultery? For he could not pass through a city without continually corrupting women and ravishing virgins. According to Eusebius, only Christians resisted him. For the men endured fire and sword and crucifixion and wild beasts and the depths of the sea, and cutting off of limbs, and burnings, and pricking and digging out of eyes, and mutilations of the entire body, and besides these, hunger and mines and bonds. In all they showed patience in behalf of religion rather than transfer to idols the reverence due to God. And the women were not less manly than the men in behalf of the teaching of the Divine Word, as they endured conflicts with the men, and bore away equal prizes of virtue. And when they were dragged away for corrupt purposes, they surrendered their lives to death rather than their bodies to impurity. He refers to one high-born Christian woman who rejected his advances. He exiled her and seized all of her wealth and assets. Eusebius does not give the girl a name, but Tyrannius Rufinus calls her "Dorothea," and writes that she fled to Arabia. This story may have evolved into the legend of Dorothea of Alexandria. Caesar Baronius identified the girl in Eusebius' account with Catherine of Alexandria, but the Bollandists rejected this theory. ↑ Ecclesiastical History, VIII, 14.